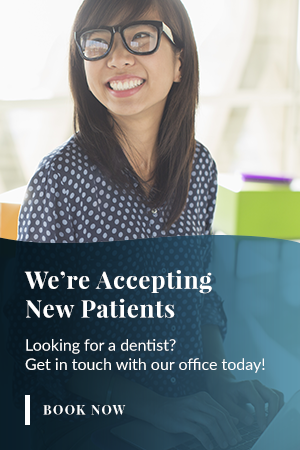 At Madison Dental in Windsor, we offer endodontic procedures such as root canals and wisdom teeth extractions to our dental patients. Endodontics aims to provide treatments to solve problems related to the soft inner pulp of the tooth. Root canal therapy is the most commonly performed among all endodontic treatment procedures. Root canal therapy can help to preserve the tooth and also protect the jawbone when the inner pulp of the tooth becomes inflamed. Your tooth may become irritated due to deep decay, big fillings, trauma to the tooth, a chipped tooth, or even repeated dental work. When the nerves inside the tooth pulp die, the tooth dentin and enamel can no longer receive organic nutrients and moisture. As a result, the inflamed tissue near the tooth can cause toothache and infection and can also damage the bone surrounding the teeth. Our procedure takes place in four steps. First, we study the x-ray of the infected tooth and then administer a local anesthetic. We then remove the inflamed nerve tissue through an opening in the crown of the tooth. The root canal is cleaned properly so that no debris or bacteria is left behind. This helps to minimize repeat infection. In the second step of the root canal procedure, we seal off the cleaned root canal cavity. This is to prevent fluids and bacteria from entering the cavity. In the third step, we fill the root canal with gutta-percha and adhesive cement mixture. In the fourth and final step, we place a crown on the sealed tooth which allows the tooth to function normally. At Madison Dental, we offer tooth extractions including wisdom teeth removal and denture preparation. Your tooth may need to be removed if it is causing you discomfort. Our dentists will consult with you to determine if an extraction is necessary. We begin the extraction by administering a local anesthetic to make the procedure more comfortable. Next, a dental instrument known as an elevator is used to wiggle the tooth in its socket. After the tooth is loosened, it is removed using forceps or, in some more complicated cases, a surgical hand piece is used to assist with the removal of the tooth. We will remove wisdom teeth if they affect the structure of the jaw, gums and surrounding teeth. Routine consultations with your children will help to determine if this is necessary. There is no single right answer for everyone, though we may advise extraction if the wisdom teeth are likely to cause damage while growing.